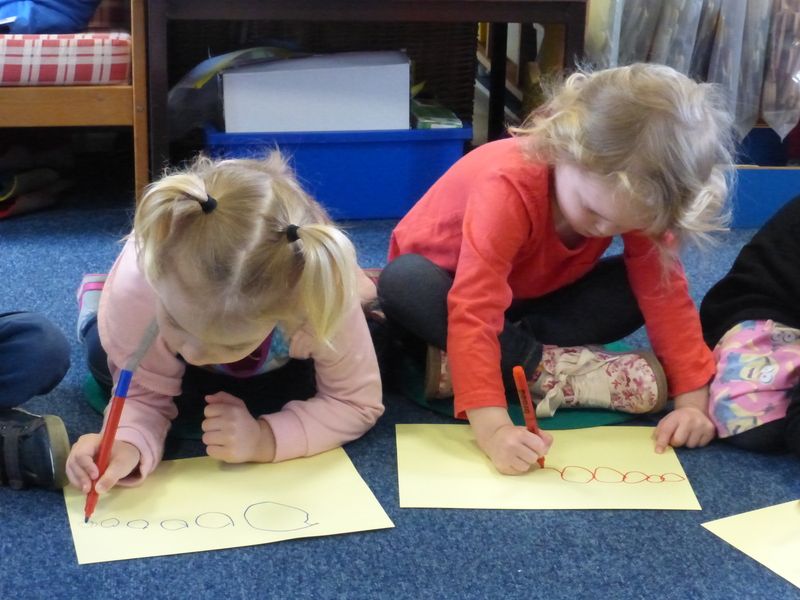 The children have been exploring mark making since starting in the nursery. 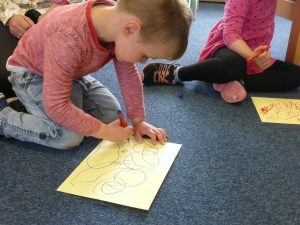 This week we put circles together to make caterpillars. Using lines we made legs and antennae and finished off with a smiley sun. 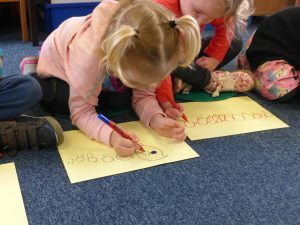 The children were very proud of their achievements. Just look at the concentration levels!! Eli is very proud of his cat-a-pillow!